As a Senior Engineer in charge of distribution network planning at Singapore Power (SP), Alvin Lim’s role is to connect homes and businesses to Singapore’s electricity network. To put it simply and quite literally, Alvin lights up the lives of others. He works with other experienced engineers to plan and build this network to meet growing electricity demand, and enhance the reliability and security of supply. “This has been an important and meaningful role as the electricity network is the backbone of our nation’s development and economy,” Alvin tells us. The 30-year-old chose a scholarship and career with SP seeing that it is one of Singapore’s largest corporations that owns and manages critical infrastructures. “With businesses spanning across the electricity, gas, district cooling and telecommunication sectors, SP represents a great deal of opportunities to explore and pursue my engineering interests in the long run,” he tells us. True enough, Alvin has had a great deal of opportunities presented to him. He has been rotated to various critical operational areas within SP, seeing them as “valuable practical experiences that help to build up engineering competence. He has also been seconded to the SP Engineering Board, where he was given the opportunity to visit overseas utilities to benchmark SP’s engineering practices and learn about smart grid initiatives. From the European utilities, he gained insights into the challenges in managing the electricity network under high renewable penetration. While in Korea, he had an eye-opening experience learning about the development of smart grid technologies on an offshore island. “These exposures have stretched my horizons and shaped my perspectives on the challenges ahead for the power industry. I am excited to be learning new things every day and feel empowered to chart the next step of my development with SP to keep up with the changing landscape in the power industry, Alvin shares. Alvin’s experiences are testament to SP’s commitment to innovate and invest in its staff and resources. In fact, Alvin shares that SP’s Centre of Excellence (CoE) was launched in 2015 to drive innovation and commercialisation of next-generation energy network technologies. He also tells us that SP also organised ‘The Pitch’ recently, a competition serving as a platform for employees to pitch and develop their business ideas within SP. “Such developments provide opportunities for engineers like me to get involved and take the lead to shape the future of the energy transportation business,” he highlights. 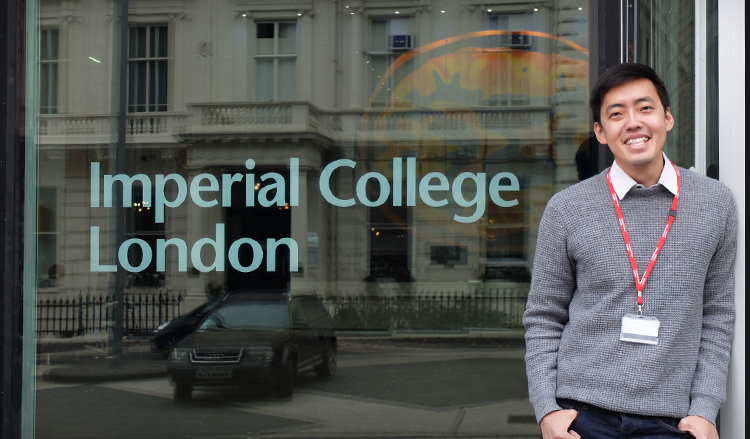 With SP’s support under the Engineering LEAdership Development Programme (ELEAD), Alvin is now doing a one-year Masters of Future Power Network course at Imperial College, United Kingdom. This has allowed him to pursue his interests in the future of power networks. For those who wish to take up the SP Scholarship and join him in the organisation, Alvin assures that you will be able to benefit from the development opportunities as part of the comprehensive Engineering Development for GraduatEs (EDGE) programme. He concludes, “Through the job rotations, structured training and professional engineer certification, you can look forward to a fulfilling and challenging engineering career that builds and prepares you for the future. Aspiring engineers can also look forward to holistic development through special assignments, or stretch projects, that are beyond the realm of engineering. Deborah Chan fills us in on her enriching UK education!